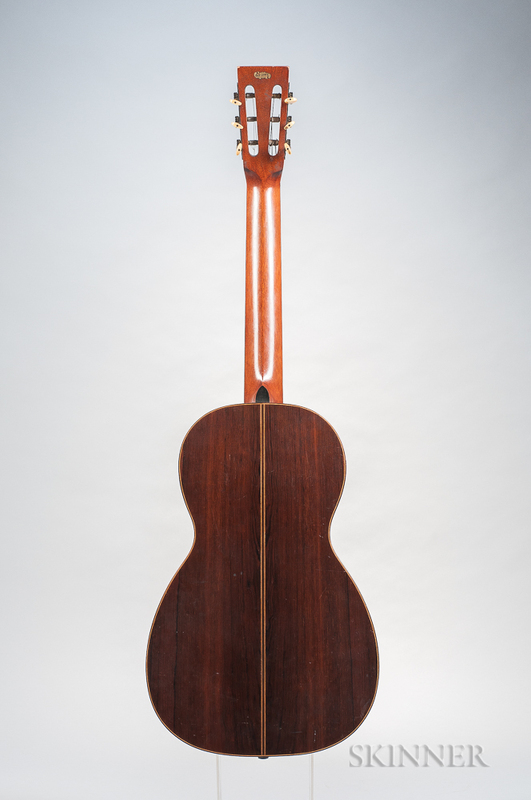 Bay State Style D Parlor Guitar, c. 1900, serial no. 27534. Lifted bridge with screws installed, wear to finish.